Hello, i’m making a new design for my robot and i would like to change the place of my sonars, so i did a new TF for them, but now i need to remake the board that the sonars are on. 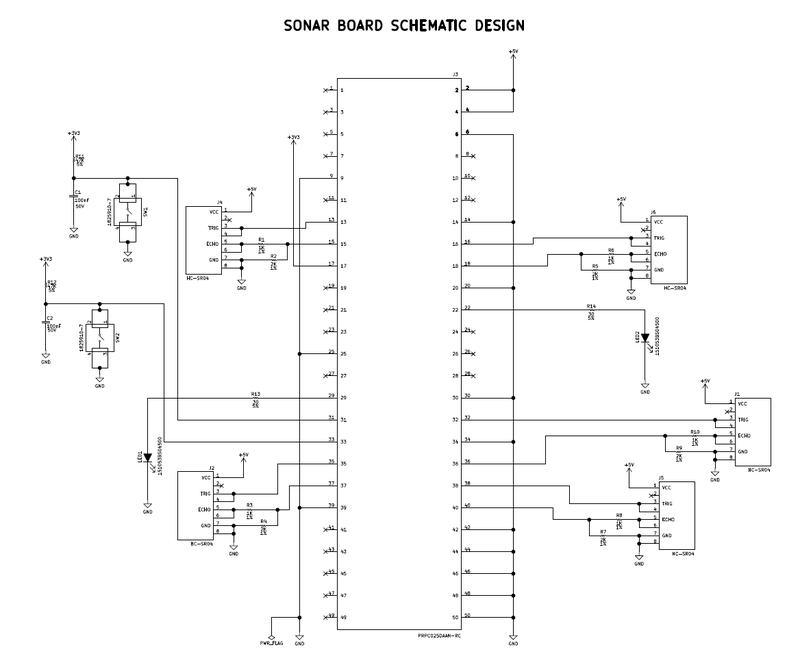 Can you send me a schematic of the sonars board? I am bringing this up internally as how to best support you on the schematic for Sonar board. Please stand by. Got it, I will be waiting. 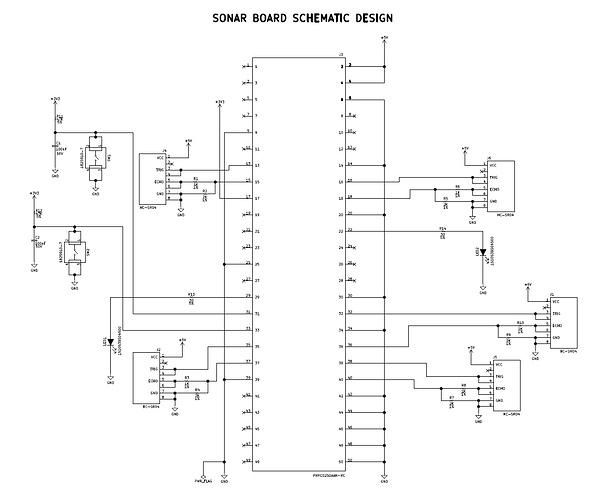 Here is the schematic of the Sonar Board. Was not able to upload our PDF so I use jpeg and although resolution is poor it seems readable. Keep in mind the main J3 connector is almost a pictorial so the pins are ever increasing and thus this jpeg is ‘usable’ but ONLY if the upload takes the full resolution I have here which is file size of 116kb for reference.